BISCONTINI ON THE HULL Roberto Biscontini’s thirty years of America’s Cup experience has given the First Yacht 53 a perfectly balanced hull under sail with extremely promising performance. Over twenty drawings and simulations were used to position the centre of buoyancy accurately, to achieve the desired result. ARGENTO FOR THE DESIGN The deck plan and interior of the First Yacht 53 were the object of Lorenzo Argento’s sharp sense of detail. She is graced with the minimalist features of modern yachting: low coachroof, broad open stern, clean cockpit. The new First Yacht will complement the distinctive style and the racing spirit of its owner. Beyond her silhouette, stylishness and speed, a few details offer a good idea of what she holds in store. 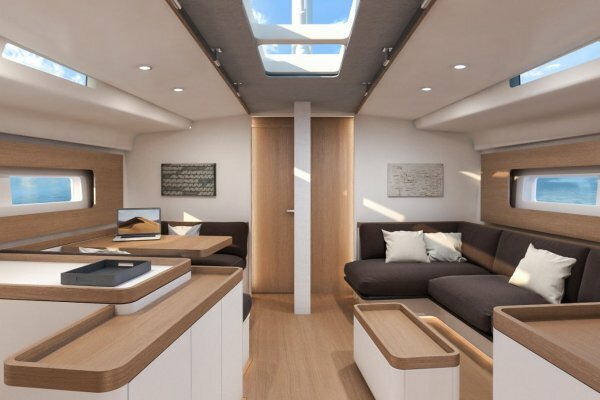 The Yacht has a tender garage, carbon rigging, lots of large spaces inside, with a real lounge area, teak mouldings and top quality materials, all of which will make her a boat to rival those of other yacht enthusiasts. 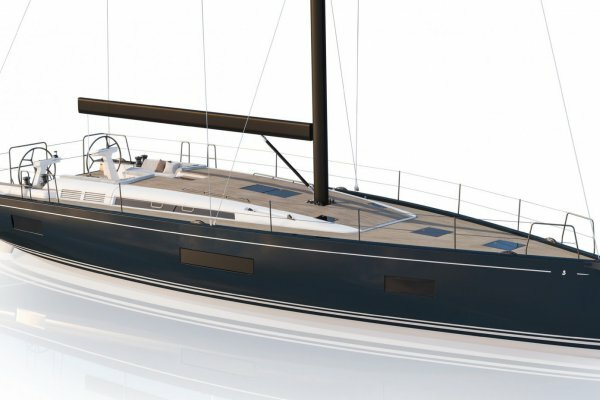 The First Yacht 53 will be launched officially at the Cannes Yachting Festival in September 2019.